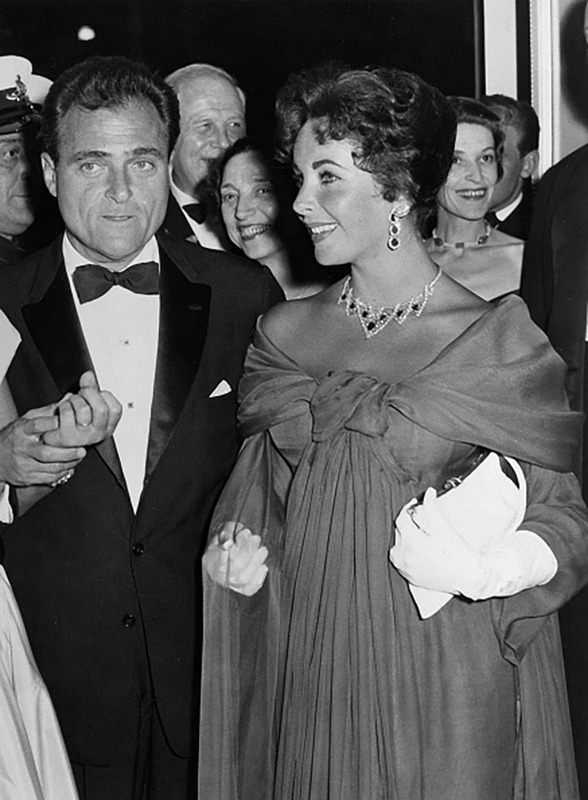 Elizabeth Taylor greeted every jewelry gift—large and small—with enormous enthusiasm. I have heard anecdotes from people who presented her with pieces on the smaller side about her pure joy. 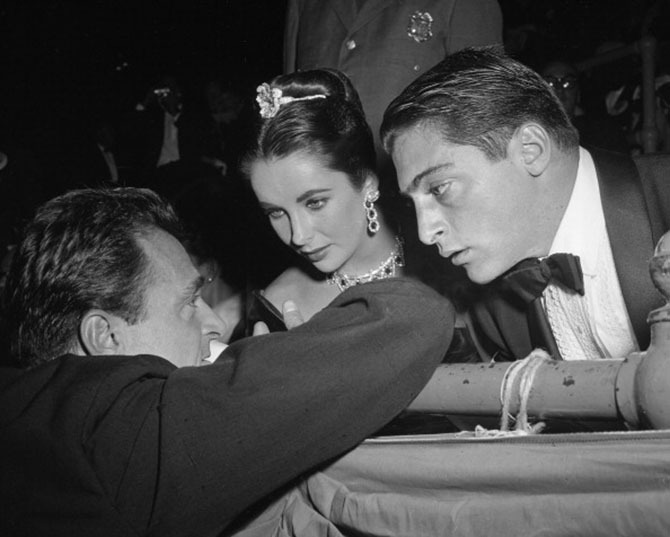 The actress’s friend, author Dominick Dunne, marveled in a story for Vanity Fair at the way she received a sweet jewel he had given her. 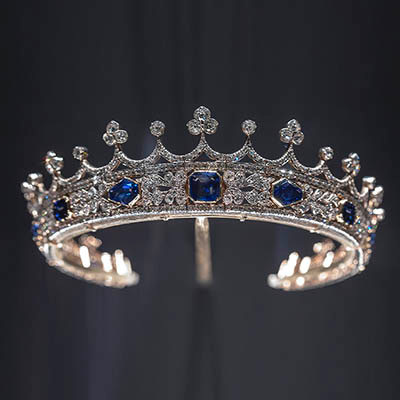 Since Taylor was pregnant with Liza Todd, the couple’s only child, when she received the jewels, some have hypothesized that the pieces might have been an early push present. It’s more likely the jewels were simply tokens of affection. Taylor’s radiance at the moment she put on the rubies in the little snippet of film instantly added a layer of movie star magic to the mid-century designs. Over time the jewels have become emblems of the couple’s short intense love story. 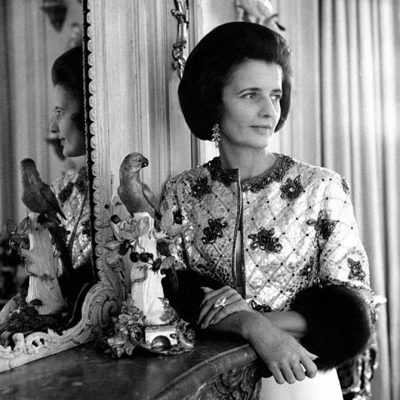 It was the third marriage for each of them and it was a true romance accented with extraordinary jewelry. The flamboyant 47-year old movie producer first presented his 24 year-old bride with an incredible 29.5-carat diamond and platinum engagement ring, she referred to as her “ice skating rink.” He gave her a vintage diamond tiara to wear to the Oscars in 1957. She also put on the piece for the Cannes Film Festival the same year. 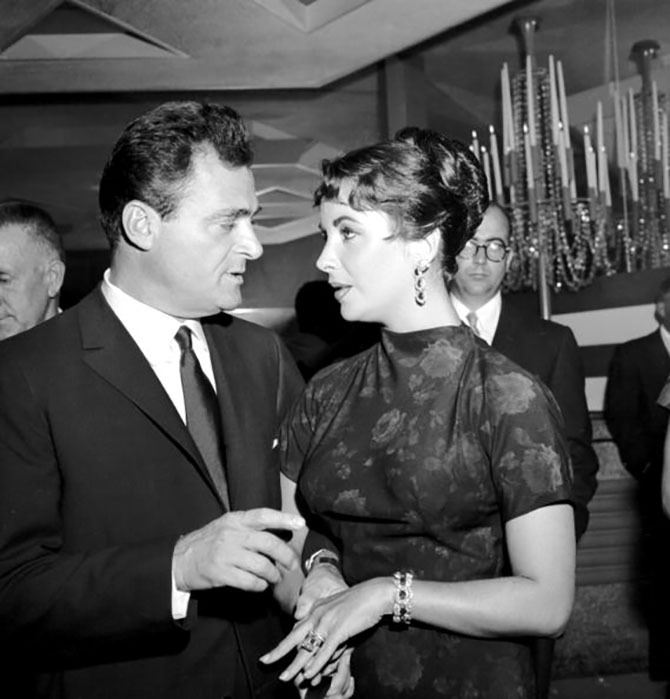 Todd had the costume chandelier earrings he bought for her in Paris remade in diamonds and platinum back in the States. There were the rubies from Cartier among several other things. It would be an unbelievable amount of jewelry, except there are lots of pictures of Taylor wearing it with Todd during the couple’s whirlwind promotions of his Oscar winning film Around the World in 80 Days and other events. When you consider the fact the couple was only married for thirteen months the number of important jewels Todd gave Taylor is truly astonishing. Todd was killed in a plane crash on March 22, 1958. When the ruby jewels were sold individually at Elizabeth Taylor’s Christie’s estate auction in 2011, the enthusiastic bidding proved the pieces were considered among the most iconic and important in the collection. 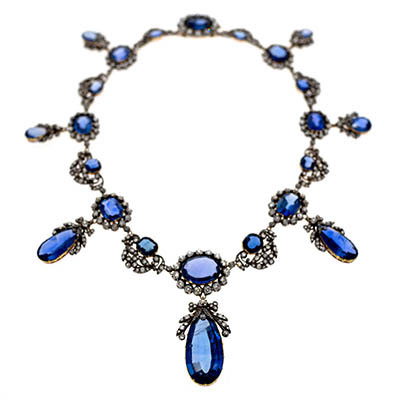 The Cartier Collection walked away with the necklace for $3,778,500. The earrings and bracelet sold to a private buyer for $782,500 and $842,500 respectively. Now the earrings and bracelet are on the market again. The demi suite is being sold at Christie’s in Geneva on May 17. 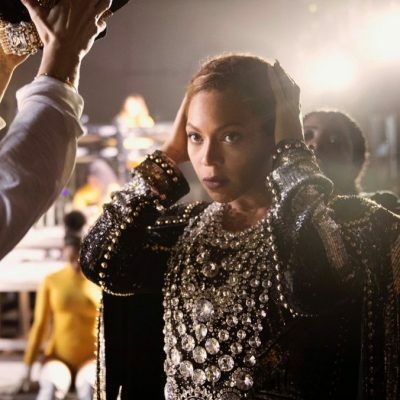 The estimate for the earrings is around $300,000 – $500,00 and the bracelet is $400,000 – $600,000. While I suspect the Cartier Collection might be in on the bidding for the historic jewels, there may also be a few romantics who want to make a woman wildly happy with an extravagant gift.